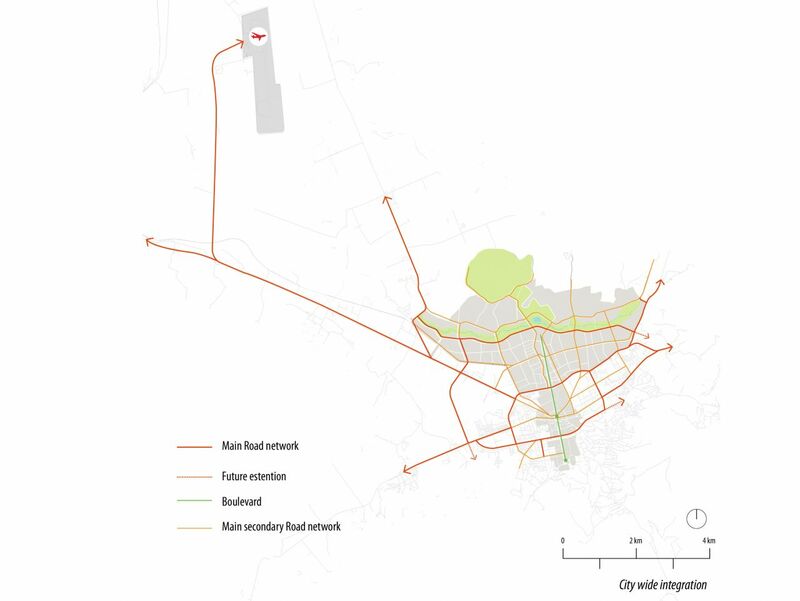 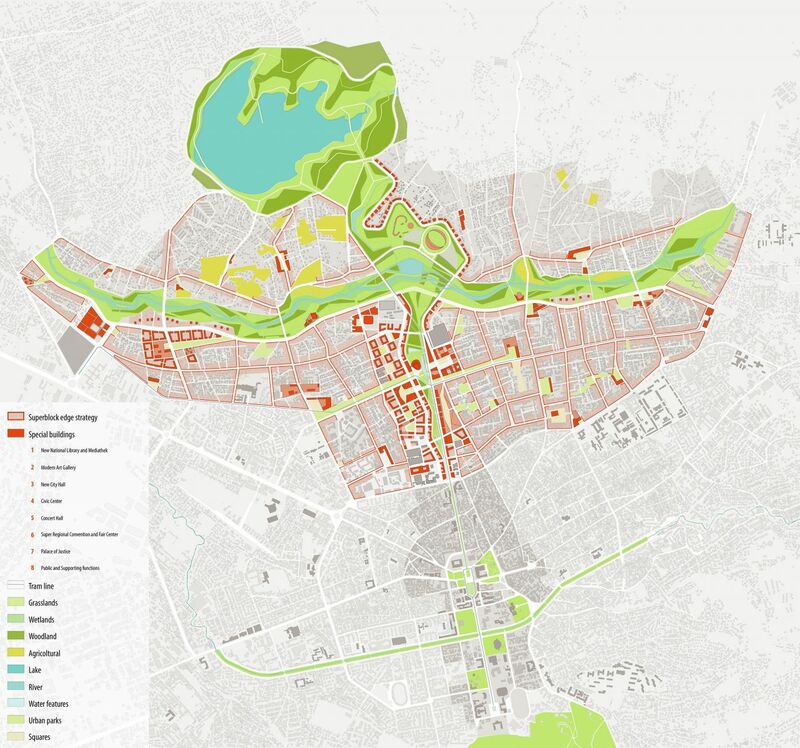 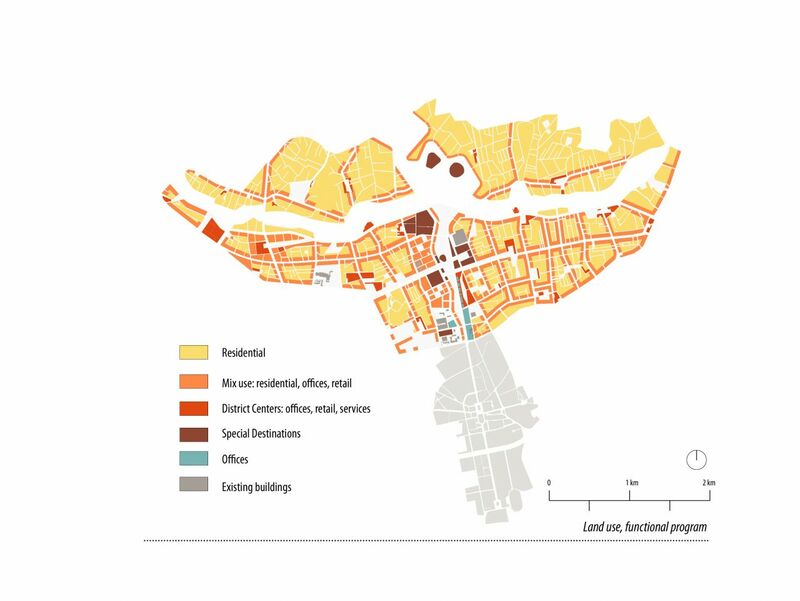 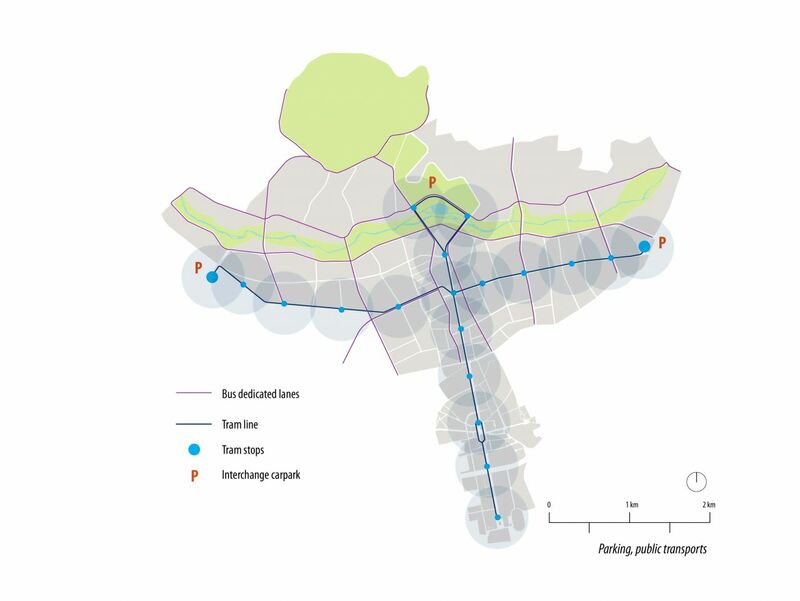 The center of Tirana is marked by a clear urban layout, but its recent growth filled up a large area around it without any order, structure, adequate services or meaningful public spaces. 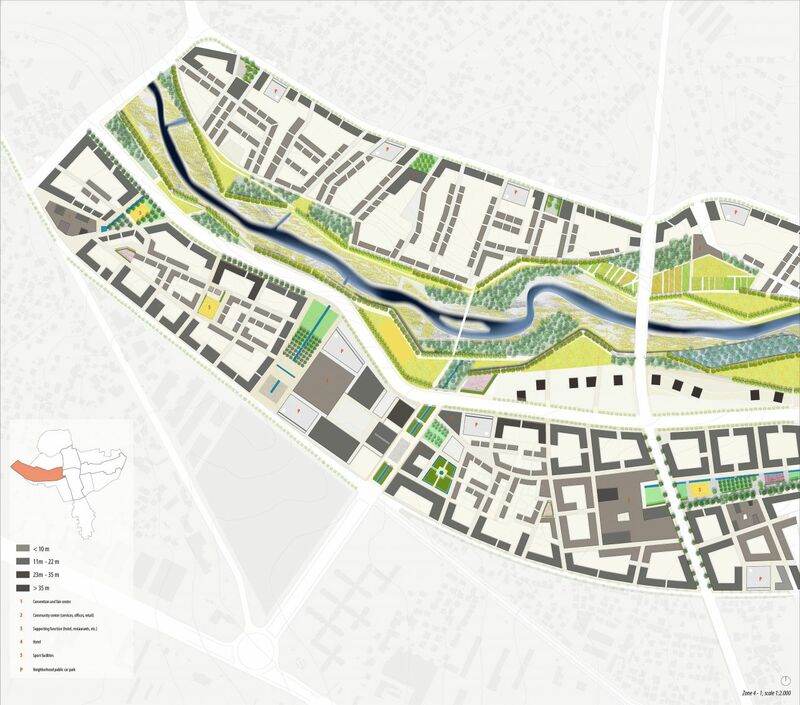 The voids rather than the buildings become the catalysts of new urban regeneration, attracting public and private functions around a sequence of green spaces of high environmental quality. 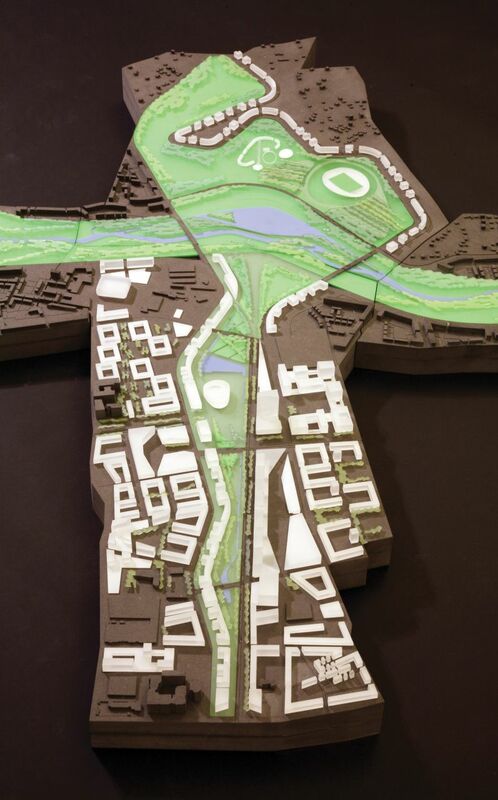 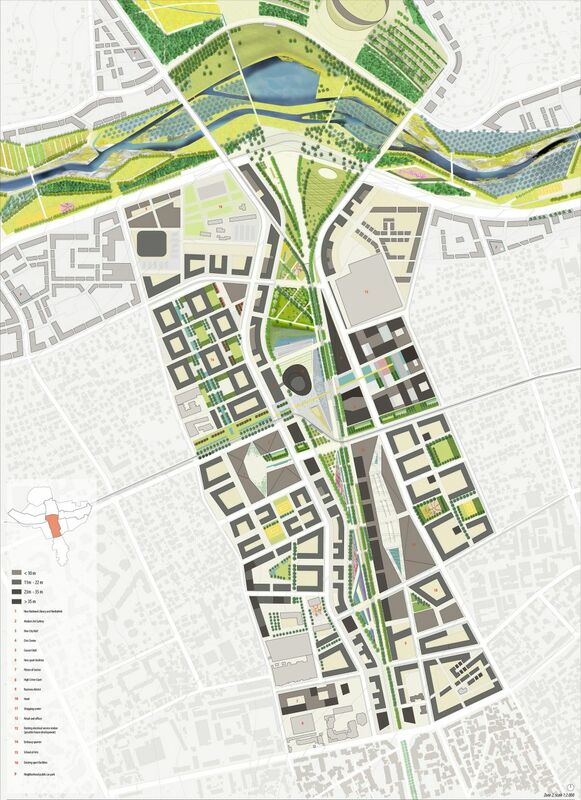 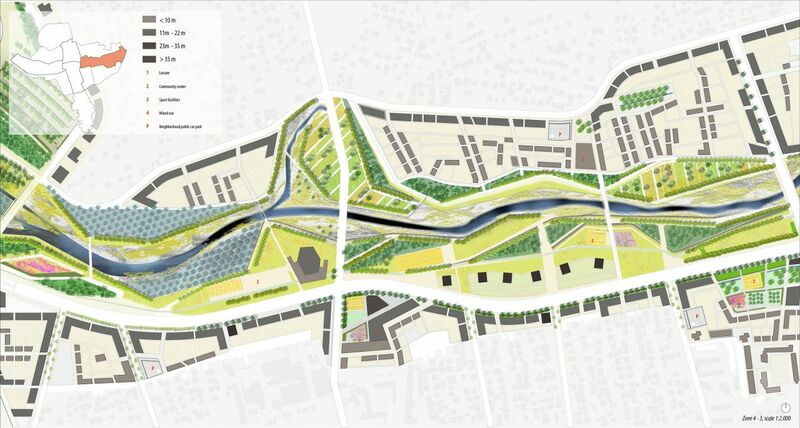 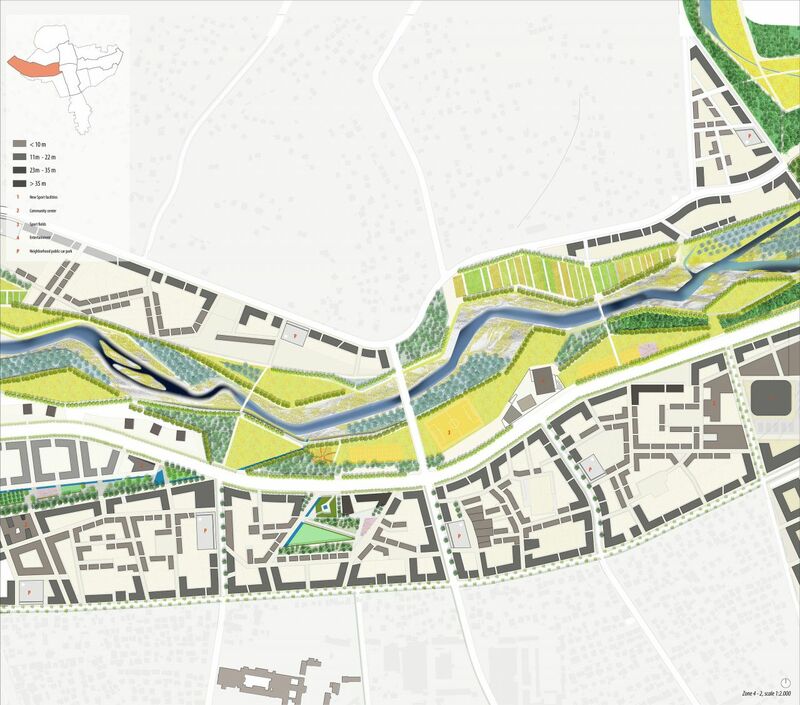 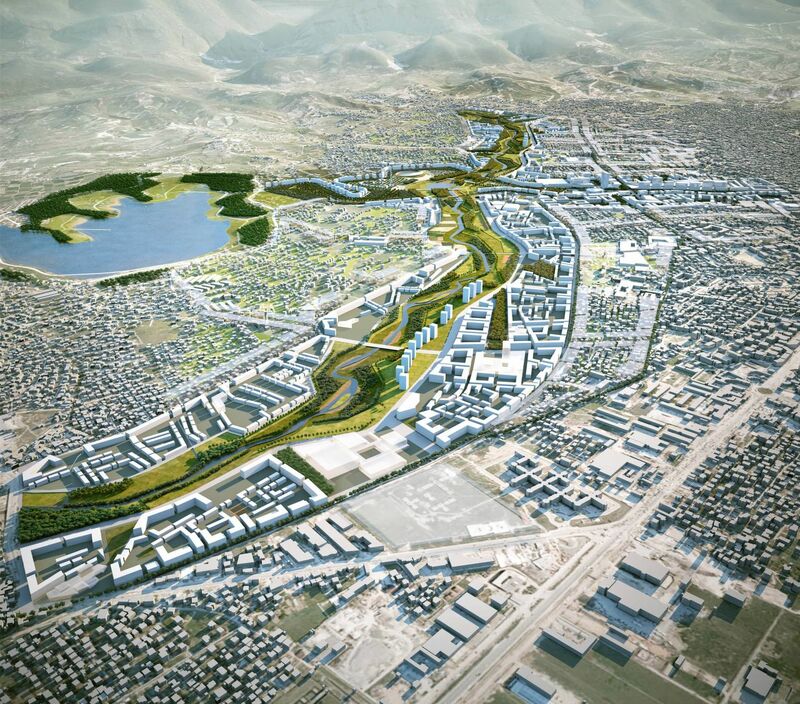 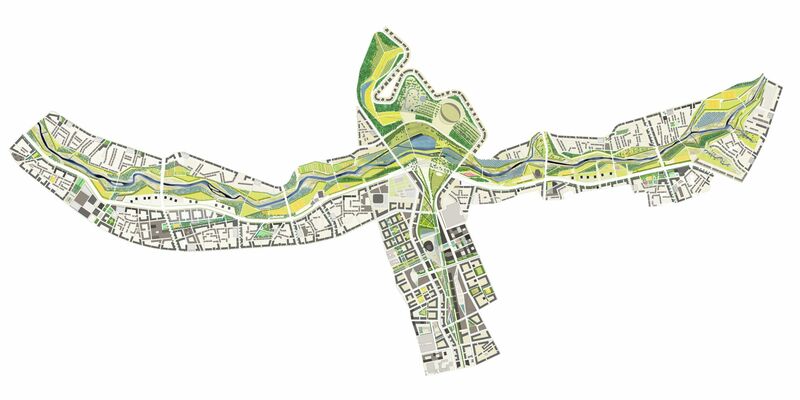 The extension of the boulevard into a lively green promenade progressively opens up to the beautiful landscape of the hills across the Tirana river. 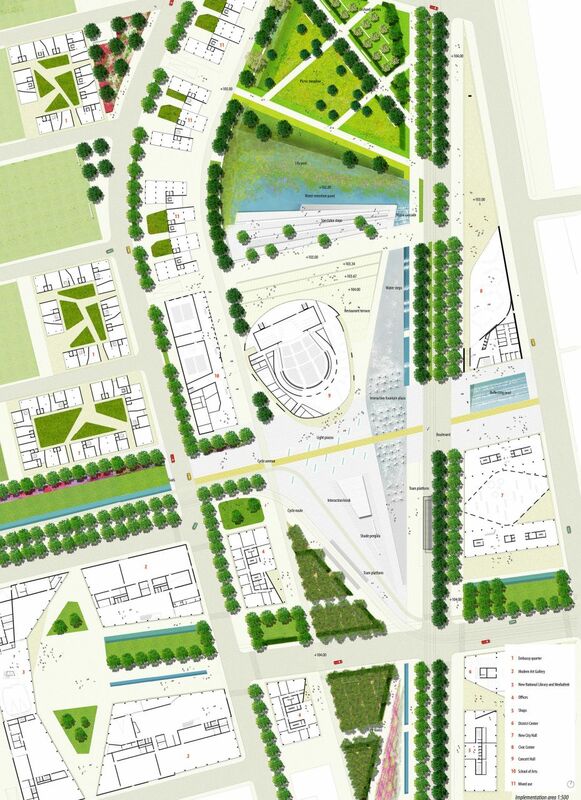 A set of new public buildings articulate its central portion, creating a new grand esplanade at the junction of the new proposed tram lines and a series of smaller squares in relationship with the existing urban fabric on the two sides of the new boulevard. 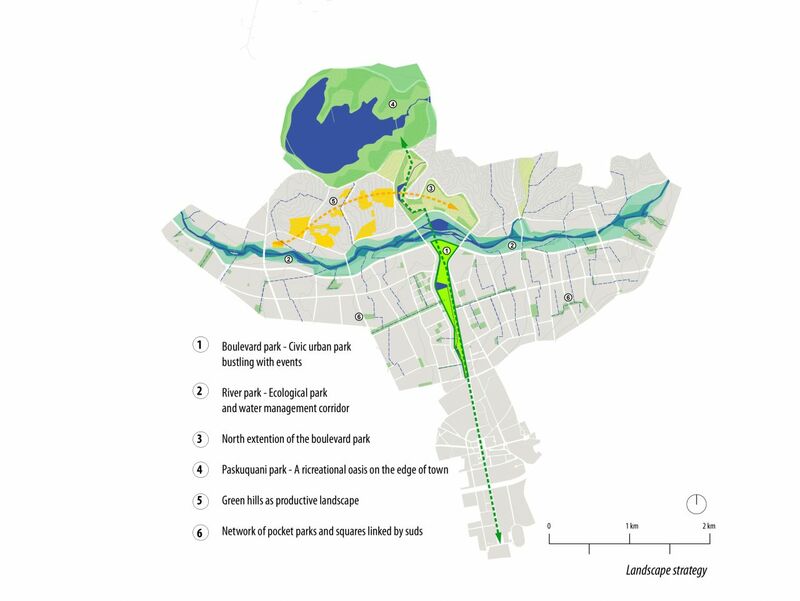 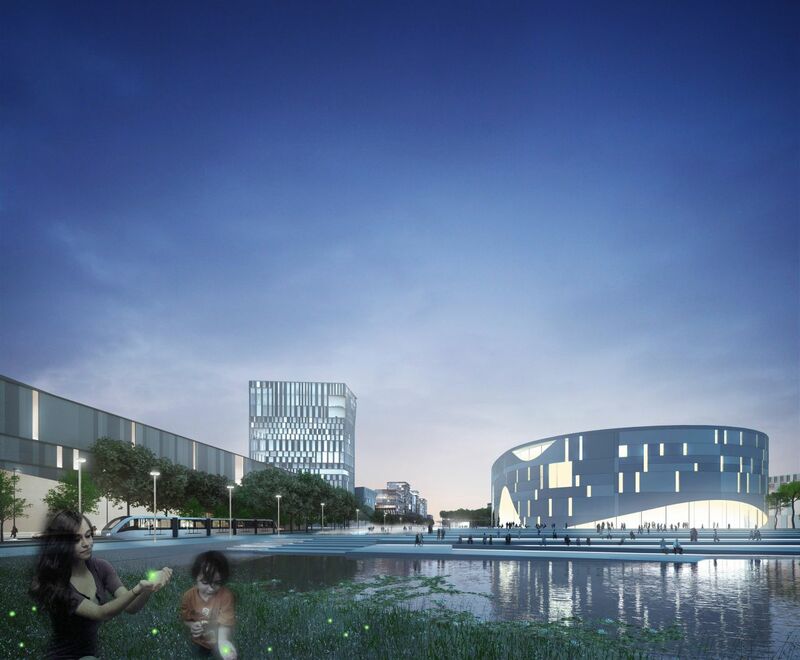 At the end of the axis, a green terrace overlooks the river, the new artificial lake and the leisure areas climbing their way to the new Paskuqan lake park. 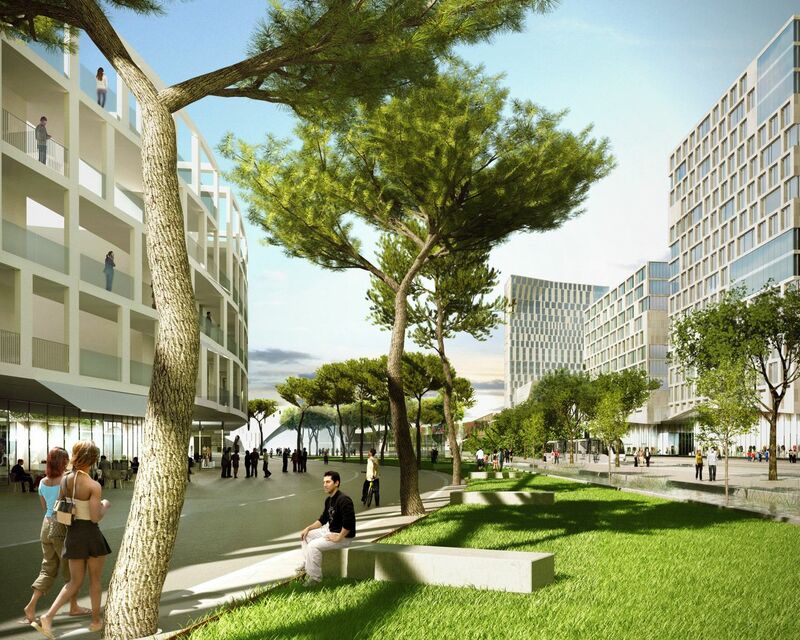 If the previous extension of the main axis aimed to extend the growing city structure outwards, the new portion of the boulevard brings the landscape which surrounds Tirana into the heart of the city fabric, generating a new urban environment capable of hosting all the activities and needs of a fast- growing capital and to constitute a vital and loved backdrop for the daily lives of its citizens.